Can I replace clamp part? 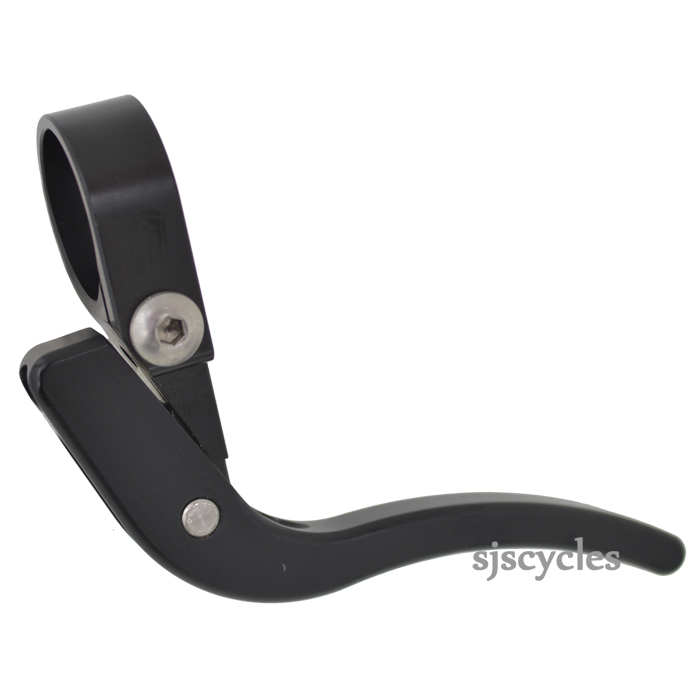 I know the clamp size is 22.2mm, but I want to use this lever with my 25.4mm handle bar. Is it possible to detach the clamp part? Changing from drop bars to aero type cowhorn bars on an Alfine 8 - bar end shift Genesis Day One. Any advise welcome. Are They suitable as the "only" brakes on your bike or are they purely additional. In theory they could be used as the sole brake, but as they don't have a return spring you'll need a brake with a strong return spring to work with them. Can I Use This As Cross Lever? Will These Levers Pull Enough Cable To Operate V Brakes? I'm afraid not, these have a smaller amount of cable pull designed to work with calliper brakes. To use them with V-brakes would require the use of a travel agent or similar.